DONNA — The Donna City Council along with U.S. Rep. Filemon Vela, D-Brownsville, broke ground Monday on the construction of southbound commercial lanes, an ongoing project to fully commercialize the Donna-Rio Bravo International Bridge. An idle semi-truck facing southbound was a sign of what’s to come: the crossing of commercial traffic from the U.S. into Mexico through Donna. Southbound empties could travel across as soon as June 2019, according to City Manager Carlos Yerena. Talks of going commercial have been ongoing since the bridge’s inception in 2010, but it wasn’t until February that U.S. Customs and Border Protection Commissioner Kevin McAleenan signed a donations acceptance agreement, allowing the city to construct an inspection booth and fencing to be donated to the federal government. Currently, only passenger vehicles can cross through the Donna bridge. The city is accepting sealed bids until Aug. 14 for the construction of the southbound commercial lanes, according to executive bridge Director Jesus “Rene” Reyna, who was hired by the city to oversee the bridge in June. Construction on the $4.6 million southbound lanes project could then begin in November. “Everybody is in favor of this bridge,” Yerena said following the groundbreaking ceremony attended by local, state and federal officials. 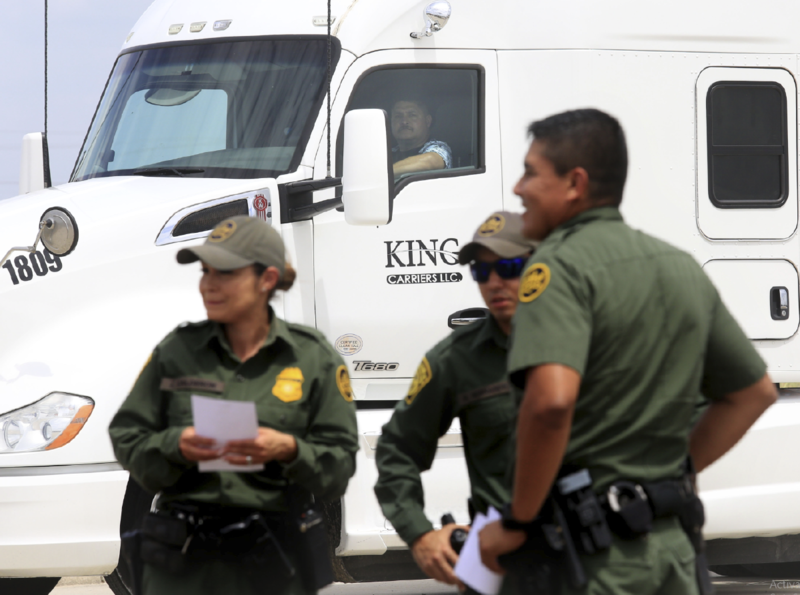 U.S. Customs and Border Protection leaders often alluded to new technologies, which will make the bridge a “model port” by adding facial recognition software and non-intrusive inspection technology, used to inspect commercial traffic by x-ray and gamma ray. “This is going to be one of the fastest routes … because we can cut their wait time by a lot,” Yerena said. 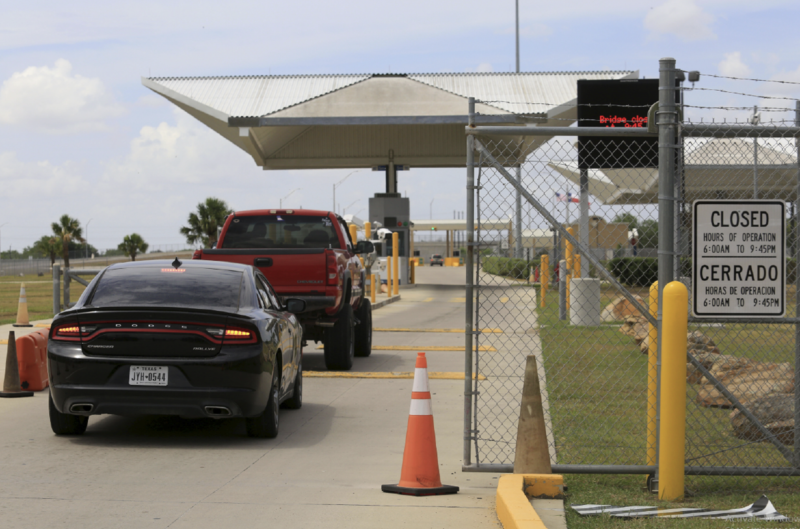 The Pharr-Reynosa International Bridge has seen about a 40 percent increase in produce being shipped through the port “without any decline anywhere else throughout the border,” said David Higgerson, CBP’s director of field operations for the Laredo field office, which encompasses the Rio Grande Valley ports of entry. “We need to construct today for what’s coming at us tomorrow,” Weaver said. City leaders hope the bridge will be fully commercialized with the crossing of full-loaded commercial trucks in 2020, according to Mayor Rick Morales. “People said that it would never happen. I remember people telling me, ‘Rick, you’re crazy. Donna will never get the bridge done,’” Morales said. Officials also anticipate the construction of northbound commercial lanes, a $42 million project potentially to be underway in 2019.